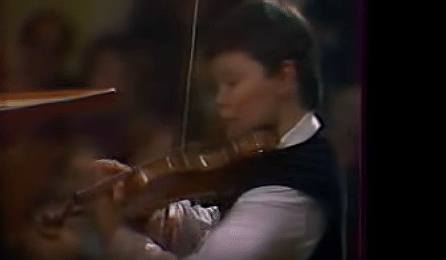 Incredible 1982 archival footage of a then prodigious 11 year old Vadim Repin performing Tikhon Khrennikov’s Violin Concerto No. 1. Recorded live with conductor Evgeny Svetlanov and the USSR State Symphony Orchestra.